Horse fencing is a fence that is made of wire or pipe to make sure horse safe and prevent other animals injuring horses. It can be also used for other livestock and places. Our company has been specialized in the production of horse fencing for more than 20 years. The professional machine, advanced technology and rich experience make us produce high quality products and design new fencing for your horse based on your requirements. 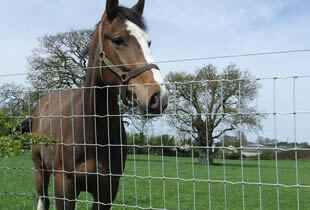 Our horse fencing includes mesh horse fence and pipe horse fence. The material can be high quality galvanized wire, galvanized pipe and so on. Finishing may be hot dipped galvanized and powder coating. The horse fencing can be fence panel and gate with extension panel. It can be used for protecting horse, environment, pasture and so on. So horse fencing should be chosen based on the horse and specific environment, there are some tips for choosing the horse fencing. Mesh horse fencing is suit for the large pen and can be used at plain and hill place. The fence panel can be buried into the ground with post to prevent other animals dig holes from under the fence. Because the mesh fence is light and has the springy texture, the mesh horse fence can be used flexible. Pipe horse fencing is suit for small pen or raising difficult horses at flat area. Because the pipe horse fencing is heavy and durable, it can stand the crash from horse. Travel corrals can be transported easily and quickly setup. 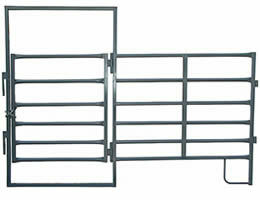 If your horses is far away from home, travel corrals panels are the better choice. Horse panels with feed places and gate are used for raising horses. It can efficiently separate the pasture and provide enough and comfortable eating place for horse. For the large and higher horse and difficult horse, you should choose the thicker wire and higher fence. For the small horse, you should choose the lower fence. 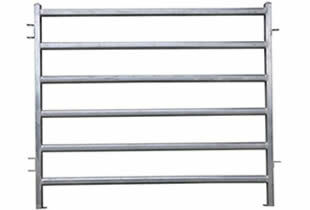 Our pipe horse fences are all finished with hot dipped galvanized or powder coating. The pipe can be square, round, oval. And the fence has 3-7 horizontal rails. Different spacing between rails can prevent horse escaping and catching in the fence. 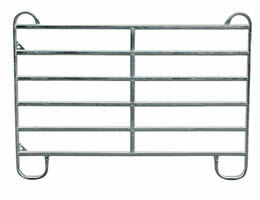 It can be used for temporary box, corrals for difficult horses. No climb horse fence made of galvanized wire and high tensile wire is finished with class 1, class 3 zinc coating. It has narrow mesh opening to prevent horse catching in the fence and keep other animals away the horse. 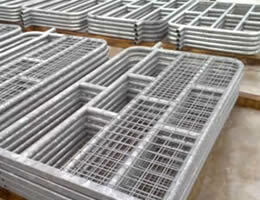 Galvanized horse fence is made of high quality steel round, oval, square pipe. It's finished galvanized and with 3-7 bars. Widely used for horse. 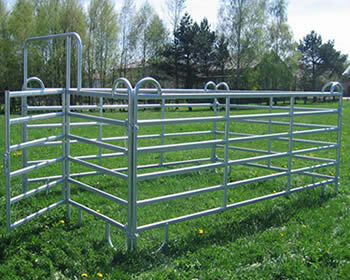 Horse corral panels made of galvanized round and square pipe, has 1-2 central rails and 6-7 bars to stand the crash of horse, it is widely used as horse pen. Horse panel and gate made of round or oval pipe has feeding space or not, it can separate the pasture and horse and is efficient for feeding. 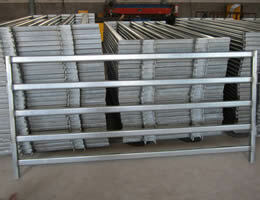 Horse gate made of galvanized pipe, is sorted the gate with mesh and without mesh. It is used for horse and pasture. Copyright © 2018 Anping DB Metal Fencing Co., Ltd.